You've heard me use both AOC and AOP, Apellation d'Origine Contrôlée (AOC) and Apellation d'Origine Protégée. Have I used them correctly? Oh Lordy, I hope so, but I'm not in the mood to go back and double check. But it does seem to be about time for me to get it right. AOC is a French status that designates a product in which all the steps of production follow the guidelines and take place inside the specified geographic area, both of which give the product its distinct characteristics. This designation has been granted since 1935. 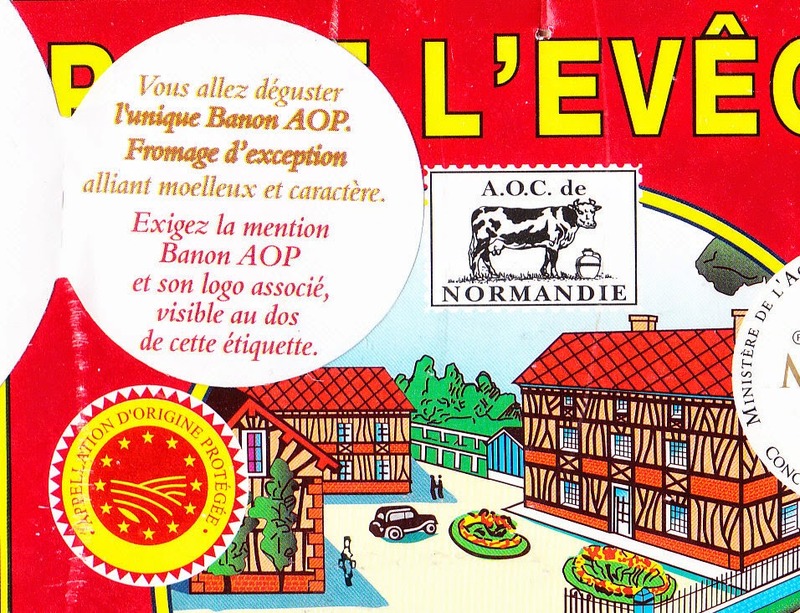 AOP is, essentially, the same thing, but the status is granted by the European Union, and protects the name of the product throughout all the nations of the EU. The AOP status has existed since 2009. Of these, AOP is the trump. In order to avoid confusion (which obviously has not been avoided, since I've been confused about this much of the year), since Jan 1, 2012, cheese products are supposed to mention only their AOP status, and only wines are supposed to wear the AOC label. However, the reality is that I've seen many a cheese proudly labeled AOC. Sometimes this is because they want to boast about how long they've had their AOC status, whereas nobody had AOP status before 2009. At other times, it seems to be just about habit. Tome des Bauges is a raw cow's milk cheese that comes from the Massif des Bauges in Savoie. It's a cheese with a very long history that goes back to at least the 17th century. In 1807, it was listed in an official document as a "peasant cheese". The cheese is aged for 5 weeks, and is ideally made and consumed between April and September, though December to March is considered acceptable. Apparently, October and November versions of this cheese are a no-go, though that seems awfully precise to me. Because the moisture is pressed out of this non-cooked cheese, a full 14 liters of milk (around 3.5 gallons) is needed to make one tome -- the local spelling for tomme -- of 1.4kg (about 3 lbs). 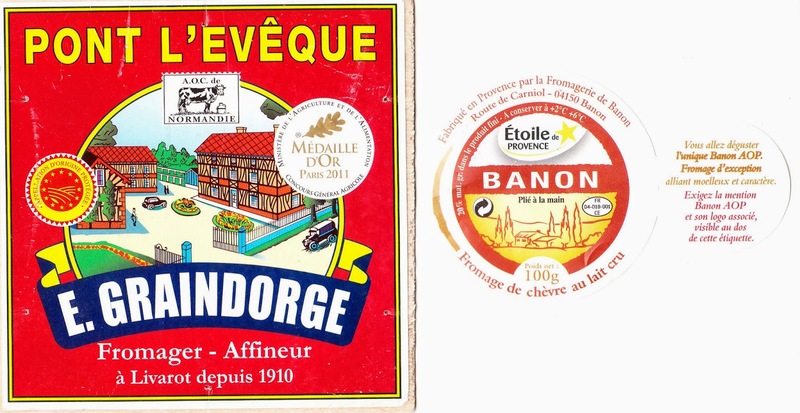 The slab we get is a farmhouse cheese, which accounts for about a quarter of Tome des Bauges production. The other three quarters is industrial. But, paradoxically, the farmhouse version is often less expensive than the industrial. The crust is very thick and gray, with hints of pink or yellow. It's edible, but just barely. Even I would recommend cutting this one off, or just biting right up to it. But the cheese itself if creamy and mild, with hints of mushrooms. Tome des Bauges has its AOC status since November 12, 2002, which automatically rolled over to AOP status once it was created and put into effect in January2009. It is now normally labeled AOP.